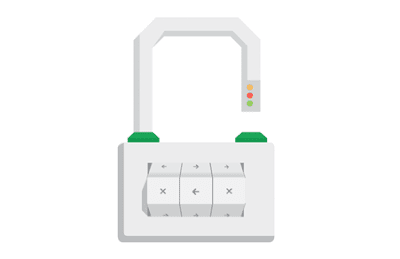 Google’s going to start ranking websites higher that make their websites secure by utilising encrypted HTTPS connections. They’re carrying out this change in an attempt to make the internet more secure by encouraging the use of SSL/TLS to encrypt website traffic and data exchange, whereas previously we’ve only used secure encryption when transferring data through login sections and payment areas. Google webmaster trends analysts Zineb Ait Bahajji and Gary Illyes explain in a recent blog post that this will have a small impact in the beginning to let webmasters catch up (saying it will be less significant than creating high quality content), however this will become increasingly important over time. It’s likely that most websites will be slow to implement the HTTPS change so if you’ve got an SSL already get it covering every page and if you’ve not got any security in place get it bought because it might give you a bit of a boost in the coming months whilst everyone else catches up. I always think we’ve got to look at Google’s motives from a cost-benefit perspective. If they’re implementing something like this it’s probably because they think it will help them save money somewhere along the line in the long run. For one thing this will make it less affordable for companies to produce lots of small microsites so Google will need less server processing power, likewise, we’ll probably see some less profitable sites being shut down as they see a gradual decline in traffic – this again helps Google with it’s processing capacity. It’s certainly good news for the security companies, freelance seo consultants (it gives us something to bang on about no doubt!) and web developers who will implement this change and probably make quite a bit of money from this in the coming months, but it’s the end users that will ultimately pay. Has Google Started to De-Index Directories? More testing is definitely needed to see the impact of SSL. I believe it will still be a minor factor. It may be a minor update in the beginning but the fact that they’re talking about it in the same breath as Quality Content suggests to me it will be more important going forwards. Thanks for the comment – Simon. Are We Poor SEOs Redundant?